Sometimes I feel like I’m never going to catch a break. After being moderately productive last week, I was all prepared to churn out some work this week, especially since I started a new blogging project (Let’s Read! Gormenghast) that I’ve been excited to dig into for months. Reader, I’m already a post behind where I’d planned to be. And the thing is, it’s not even depression or poor time management, which would be disappointing, but also classic me. Nope. This time it’s just plain old seasonal allergies, which got randomly worse for me last weekend and have only let up in the last 36 or so hours. I’ve always had a little bit of sniffling, like in April when every flower in my town blooms at once and I have the windows open for fresh air, but usually it clears up by now. Not this year, though. This year, I just got a full week of sinus pain, stuffiness, runny eyes and constant headaches that were literally only helped by laying completely horizontal and essentially doing nothing. Which amounted to quite a lot of sleeping, as the headaches made it hard to even read a book, much less anything else even remotely productive. Today is the first day in over a week that I’ve felt anything close to normal, and most of my waking hours have been spent at my nephew’s birthday party, which was nice, but the noise has undone most of the good that a couple days of pretty solid resting and quiet/early (for me) evenings have done. The good news is that I think the allergy situation is clearing up now that it’s hitting 90 degrees and I turned on the A/C. I have high hopes that this coming week will be a bit more normal. Energy level and health again permitting, I’ve got several book reviews in the works, and I’d love to get out sometime soon to catch Guardians of the Galaxy 2 and Wonder Woman, which I expect to have thoughts on–unless I decide to just hold off on movie-going until The Little Hours and/or Atomic Blonde comes out. Because, really, raunchy nuns and Charlize Theron killing dudes and romancing Sofia Boutella will almost certainly be better than anything Marvel or DC is going to put out this year. In sad news this week, original Batman star Adam West passed away at age 88. If you’re planning your summer reading already and can’t wait around for my Summer Reading List near the end of June, the Barnes & Noble Sci-Fi and Fantasy Blog has a book for you each week in both science fiction and fantasy. If you’re reading for the Hugo Awards, you should definitely be following along with Joe Sherry at Nerds of a Feather. He just did short stories. Finalist lists were announced this week for this year’s Mythopoeic Award and John W. Campbell Memorial Award. The Wertzone’s Cities of Fantasy series continues with Waterdeep. In her continuing fairy tale series at Tor.com, Mari Ness talks Hansel and Gretel. As I gear up and prepare my liver for season seven of Game of Thrones, that show’s numerous failings have been much on my mind. Fortuitously, the good folks over at the Fandomentals have organized most of the reasons why Game of Thrones is bad in a handy 101 post. Pornokitsch offers up a taxonomy of villains. 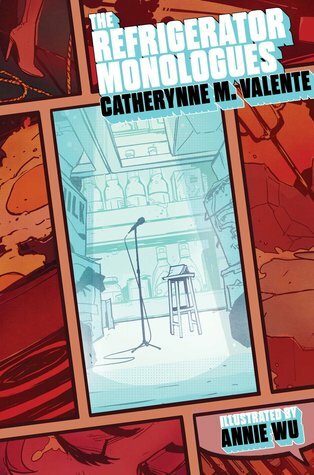 One of the books I’m hoping to finish a review of this week is Catherynne M. Valente’s The Refrigerator Monologues, which is every bit as superbly excellent as you might expect anything by Valente to be. She was interviewed over at Vox this week; you can read her Big Idea post about the new book; and if you still aren’t convinced, you can read an excerpt at Paste. 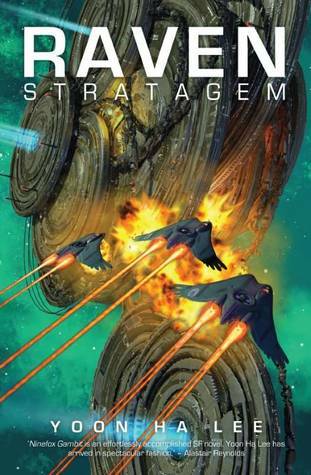 Yoon Ha Lee’s Raven Stratagem, out Tuesday (6/13), is the next major release I’m hotly anticipating, and he’s been making the rounds to promote it this week. At the B&N Sci-Fi and Fantasy Blog, Lee wrote about Ridiculous F***-ups in Sci-Fi Storytelling. At the Book Smugglers, he wrote about what Kel Cheris watches on TV. And at the Illustrated Page, he wrote about Worldbuilding and Culture in the Hexarchate. The other release I’m looking forward to this week is Mary Turzillo’s YA novella, Mars Girls, from Apex Publications, which I’ve had on pre-order for what feels like forever. There’s been a big blog tour going on this week ahead of publication (and stretching into next week), and all it’s done is whet my appetite for this book. I mean, look at that stunning cover and that book description. Can not wait. Books, Bones & Buffy interviewed Mary Turzillo, and they’ve got an international giveaway of the book that’s open to entries until Friday (6/17). Turzillo wrote a guest post at I Smell Sheep, where she talked about the future on Mars. And at Ardent Attachments, Turzillo wrote about the unlikely friendship between her main characters (also with a giveaway!). At Skiffy and Fanty, Turzillo wrote about religions on Mars, according to her. While we’re still waiting on the next Book Smugglers novella, they did just reveal the cover and synopsis for the first book in their 2017 short story season, Beauty, Glory, Thrift by Alison Tam. Reader, I instantly pre-ordered it. All the cool kids are doing it. I love getting these posts in my email. These articles are awesome. I was wondering if there’s a place to submit suggestions? Like, “Hey, this is a cool article, thought you should share it” kind of thing. Thanks! I would LOVE suggestions. You are always welcome to @ me on Twitter (@SFBluestocking) or you can email me at sfbluestocking(at)gmail.com. Just be sure to let me know how you’d like to be credited for your finds when you send them to me.